A Boholano tricycle. This tricycle can accommodate up to 4 Filipino adults including the driver. 2 passengers in the side car and 1 at the back of the driver. 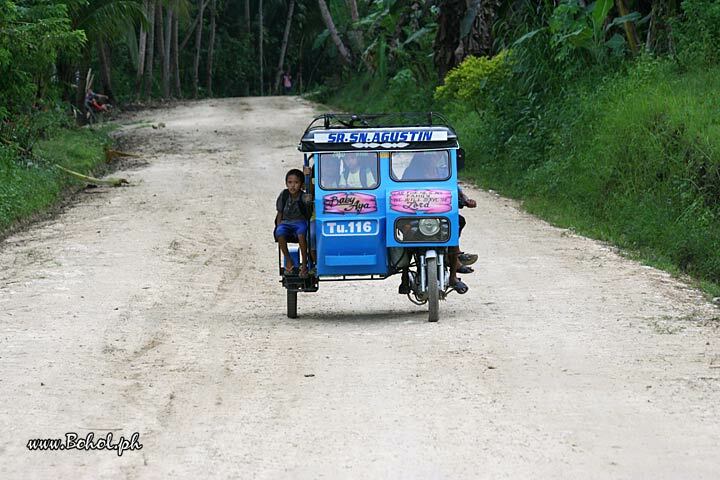 Unlike in other places like Cebu, where Tricycles can accommodate up to 8 Filipino adults, inside including the driver. Four in the side car and 3 at the back of the driver. The driver had a semi standing position while driving. I had a twisted sitting position in order to fit the very limited space. Unbelievable isn't it? Luckily, Filipinos are flexible. This picture has been viewed 111 times.